The Extendable Octopus is thoughtfully designed to cater for drivers’ needs. 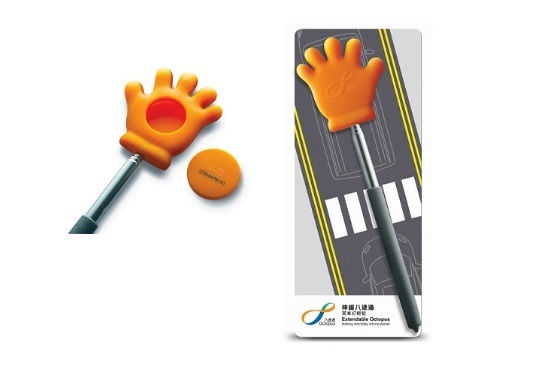 An Adult Octopus is installed in the “palm” of the extendable rod, which makes it easier for drivers to tap the Octopus for payment at car parks or tunnel tolls. Users can also take out the Octopus from the “palm” for use separately, allowing drivers to enjoy the true pleasure brought about by Octopus payment. - Photo is for reference only. - The unit price above excludes registered mail (click here for details). Exact charges will be displayed on website before completing the ordering and payment process.